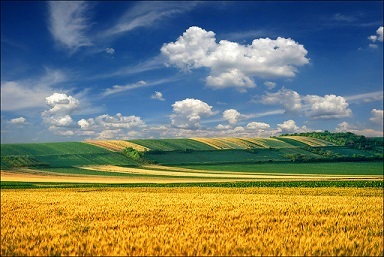 Serbia covers a total area of 8,840,000 hectares. The agricultural land area comprises 5,734,000 hectares (0.56 ha per capita), while arable land amounts to 4,867 hectares (0.46 ha per capita). Around 70 percent of the total territory of Serbia is comprised of agricultural land, while 30 percent is forest area. Agreeable natural conditions and climate bolster agricultural development. Flat land in the regions of Vojvodina, Kosovo Polje, Metohija, Pomoravlje, Posavina, Tamnava, Kruševačko and Leskovačko polje is suitable for the mechanized production of crops and vegetables. The mountainous and undulating landscape is suitable for the development of fruit, wine and livestock production. The hilly and mountainous regions of Zlatibor, Rudnik, Stara Planina, Kopaonik and the Šar Mountains are good for the development of sheep farming, cattle breeding and forestry. 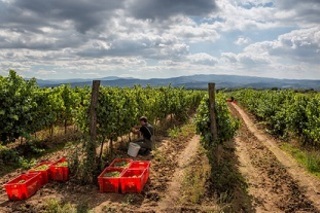 There is a total of 1,305,426 farmers in the Republic of Serbia, comprising around 17.3 percent of the total population. The most developed branches of agriculture are livestock breeding (43 percent) and crop production (42 percent), followed by fruit growing and winegrowing (12 percent) while the other cultures amount to three percent. Family farms and private property are dominant in Serbia, while the average size of a commercial farm (enterprise) covers between 500 and 700 hectares. The consumption of mineral fertilizers amounts to 36 kilograms of active matter per hectare. The use of agrochemicals is very low and is controlled by an organized network of regular veterinary, phytosanitary and sanitary control. In Serbia there is a network of agricultural organizations, such as chambers, cooperative councils, expert organizations and trusts. According to the latest data, Serbia has 6000 villages. In rural regions there are numerous ethnocultural and ethnic art events such as fairs, exhibitions, assemblies and various competitions. Novi Sad is the largest city of the Autonomous Province of Vojvodina and its administrative centre, after Belgrade, the second largest city in terms of its population and area. 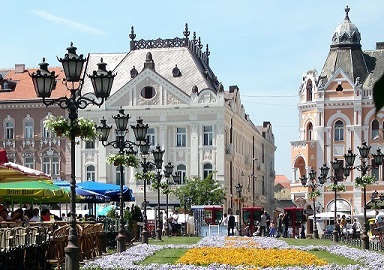 Founded in 1694, Novi Sad had, for a long time, served as the centre of Serbian culture due to which it was frequently referred to as the 'Serbian Athens'. Today, Novi Sad is a large industrial and financial hub of the Serbian economy, a university town and school centre, a cultural, scientific, health and political centre of the Autonomous Province of Vojvodina, the host city of many international and national economic, cultural, scientific and sports events, as well as a city of museums, galleries, libraries and theatres. The city is situated on the border of Bačka and Srem, on the banks of the Danube River and the Danube-Tisa-Danube Canal, facing towards the northern slopes of Fruška Gora. Novi Sad is 70 kilometres away from Belgrade and is connected by an international highway with Budapest, Vienna, Belgrade, Athens, Bucharest and Istanbul. Numerous cultural events are organized at the Petrovaradin Fortress - one of the biggest and the most popular summer music festivals is EXIT, which is visited by around 250 to 350 thousand young people. 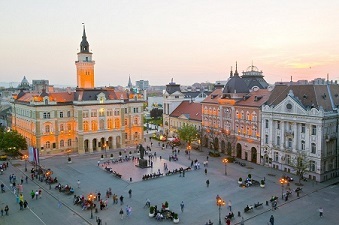 Novi Sad is a historical treasure of Europe. The city centre boasts buildings with varied architectural styles including gothic, baroque, secession and neoclassical. Today these buildings mainly host various institutions, museums and galleries.